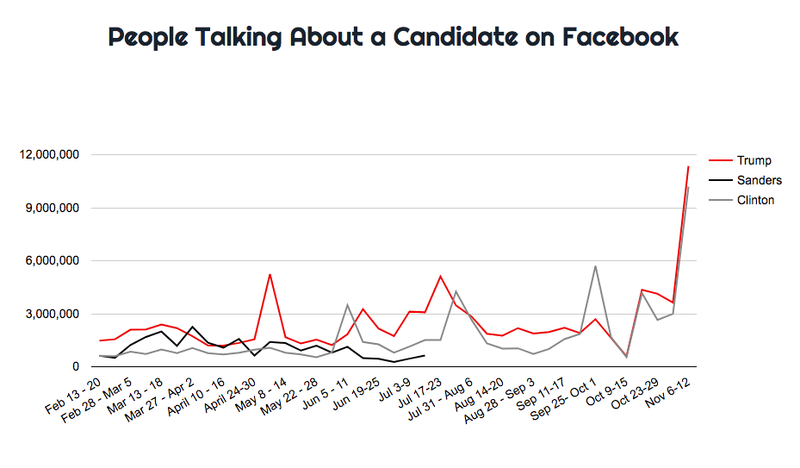 Which candidate is talked about most on Facebook? 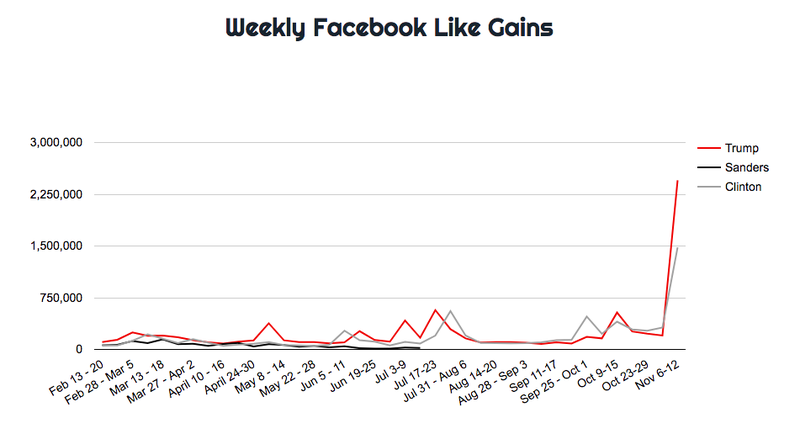 Who has more Facebook page likes? These and other statistics are some of the data we are collecting as part of the Ryerson Social Media Lab’s ongoing research on how social media is changing the ways in which people communicate around elections. Facebook and other social media sites are transforming our politics. Today, when politicians such as Hillary Clinton, Donald Trump or Jeb Bush want to attract voters’ attention, they turn to social media for presidential campaigning. Within seconds, a well-timed tweet or Facebook post can be delivered directly into the hands of supporters and the public at large. For example, when Jeb Bush announced his intention to run for the US presidency, he used Facebook to make the announcement. 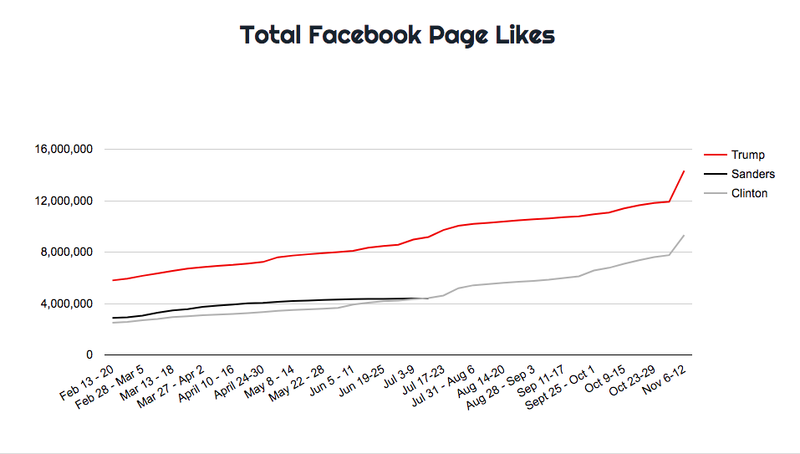 As more candidates and parties flock to social media, it is now easier to analyse a candidate’s campaign, both in terms of messaging and engagement, to determine how effective they are at using social media platform such as Facebook and to connect to their supporters. Knowing how, when, and what a candidate posts on social media says a lot about how they position themselves on the political stage, their campaign resources, their relative social media savviness – and even their personality – arguably all things that dictate where presidential hopefuls will land in polling. We opted to study Facebook post for this research as the social network enjoys the highest rate of usage by Americans, with 71% of the online U.S. adult population enrolled. And Americans are using Facebook to discuss politics. Of the most talked about topics on Facebook (both globally and in America) in 2015, the U.S. presidential elections topped the list. This project is a collaboration between Alicia Wanless (@lageneralista) – Director of Communications, SecDev Foundation, Anatoliy Gruzd (@gruzd) – Canada Research Chair in Social Media Data Stewardship, Philip Mai (@phmai) – Research & Communications Manager, and Marc Esteve (@netmev) Postdoctoral Research Fellow, Ryerson Social Media Lab. To cross reference our findings against publicly available polls, we are also reviewing and collecting polling data as compiled and averaged by RealClearPolitics.com for comparison purposes. Analysis by the GDELT Project using data from the Internet Archive Television News Archive.